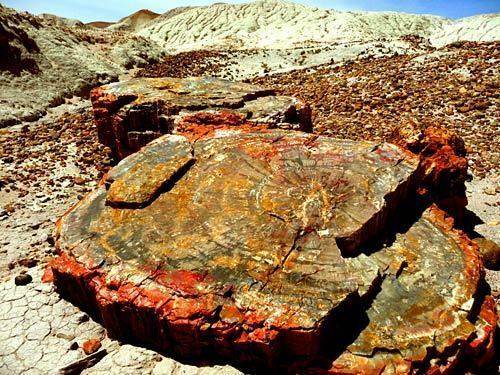 The Petrified Forest in eastern Arizona contains the world's largest collection of petrified wood, trees whose organic matter has been replaced by minerals over millions of years. The fossils of about 78 animal species have also been found here. The park's fossil cache has been a valuable source of information for the Late Triassic period (about 225 to 205 million years ago). Aside from petrified wood, the Petrified Forest features colorful badlands and hundreds of petroglyphs.